Generator sets are classified into different categories on different basis: brand name, fuel type, (physical) size, power/supply capacity, number of amp outlets, phases, etc. However, the majority of people buying a new generator are mostly concerned about the supply (carrying capacity) as it is the most important criterion. No doubts, when buying a generator, size matters. But you should also know that if you buy a big sized generator and underuse it as a result of low load or wattage, the appliance is only a waste of investment money. Don’t get me wrong though, a generator with high KVA (like these 3.5KVA generators) is good, but a small generator can get things done too. 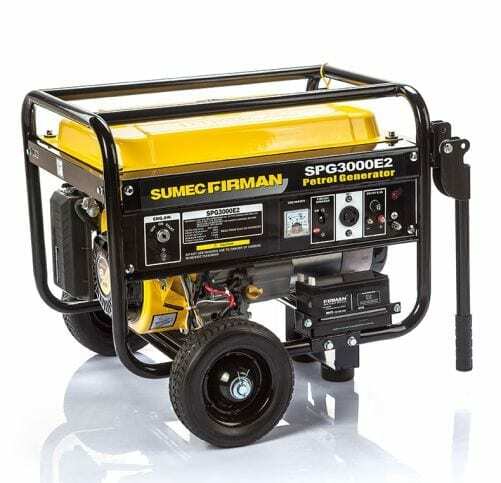 Sumec Firman is a popular brand known for the quality generators it produces. If you are in the market for a new 2.5KVA generator, picking up this SUMEC FIRMAN SPG3000E2 wouldn’t be a bad idea. The SPG3000E2 is one of the best 2.5KVA generators around and has a 15 Litre tank, a single phase, a single load receptacle, and dual starting mechanism — recoil rope and electric key start. The dual wheels, handle and stand balance are added bonuses. For latest prices, Click Here. 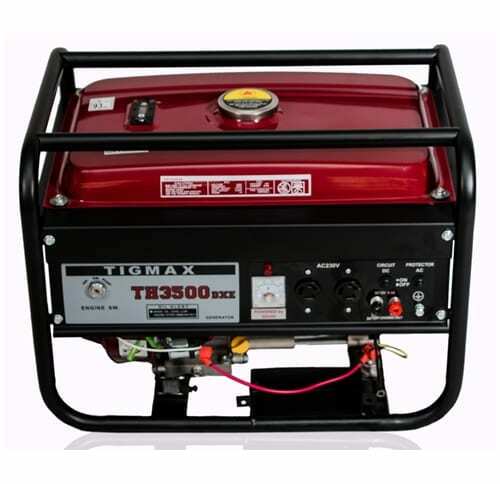 The TIGMAX-TH3500DX is another 2.5KVA worth its price. With a 6.5HP 4-stroke single cylinder engine, the TH3500DX sports a 15 Litres petrol tank which when full, can run up to 16 hours (at 50% load though). This generator had 2 load receptacle port but can only be started by recoil rope. It is also lightweight when compared to other 2.5KVA generators — probably due to the absence of handle and wheels. For more, Click Here. Speaking of design and aesthetic, Lutian did a brilliant job on the LT3600 — bright orange and black mix of colours, rubbers grips on the frame to serve as handles etc. 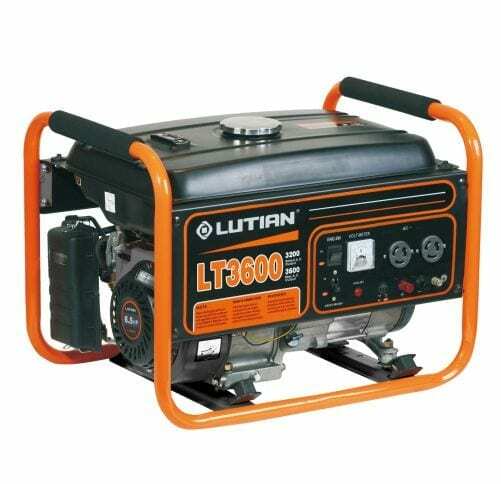 With 15-litre fuel tank capacity, 12 hours continuous operation time, dual load receptacle ports, and a recoil + electric starting system, the Lutian LT3600EB comfortably earns a spot on this list of best 2.5KVA generators. For details, Click Here. Like the Lutian LT3600 (in 3 above), this TIGER-TNG3500A 2.5KVA generator set also comes in a compact attractive aesthetic body form. This single phased generator has a single start mechanism (recoil rope), dual load receptacle ports, a 15 litres fuel tank, and can run for up to 16 hours when filled. 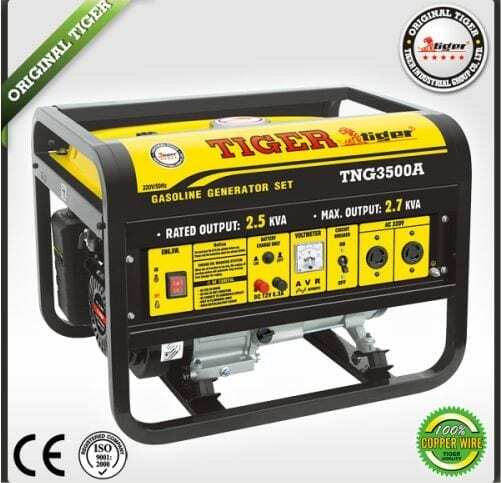 Tiger is a common household name as regards generators. 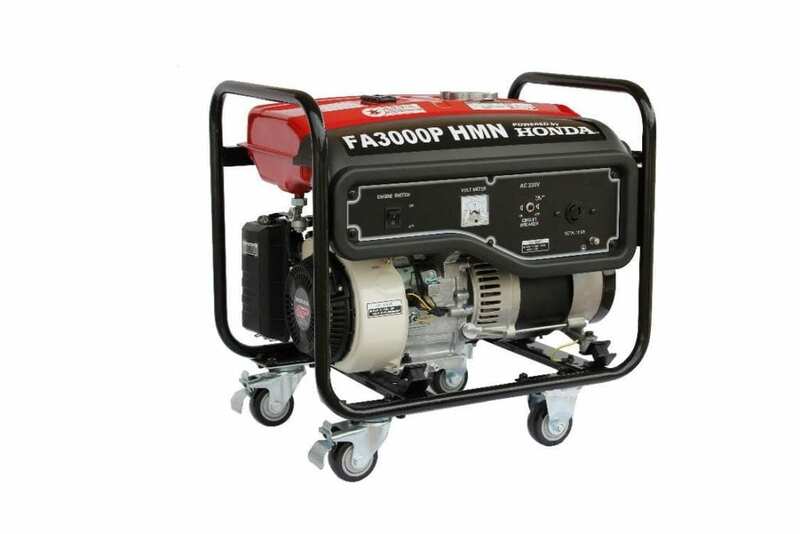 The brand’s portable generator is widely used in households across the country. With this reputation in place, one can also trust this TIGER TNG3500A to perform beyond expectation. For latest prices and more options, Click Here. The Maxi B25K come with the usual features of a 2.5KVA generator and some extras: 15 litres gasoline tank, battery, recoil rope, oil alert, key starter, etc. 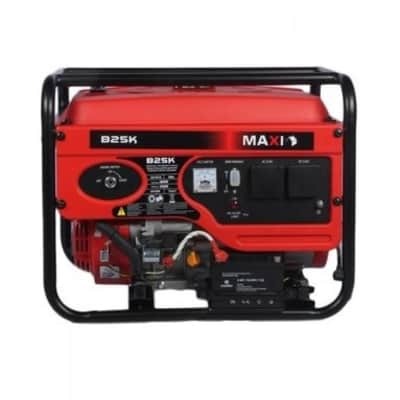 The Maxi B25K can be purchased from any generator dealer or store anywhere in Nigeria, online or offline. Price ranges from NGN 110,000 to NGN 120,000. For latest prices, Click Here. Like Tiger, Elemax is also a household generator name. 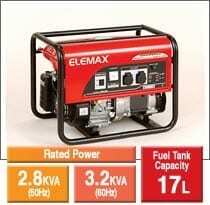 The Elemax SH3900EX is not exactly a 2.5KVA generator as it delivers a bit more with 2.8KVA capacity. It comes with many improved features that trump majority of 2.5KVA out there. First off, the fuel tank is sized at 17 litres, 2 litres bigger than the average 2.5KVA generator fuel tank. This big fuel tank design automatically translates into longer operational period/run time. Other features include automatic voltage regulator(AVR) redefined frame and control panel, increase output power among a couple of others. For latest prices and more options, Click Here. Though it sports a not-so-appealing aesthetic (thanks to the study fame and Tyre design), the Honda FA3000P is efficient, durable, and comes with impressive features. The FA3000P boasts of a GX160 Engine which reduces exhaust smoke to the barest minimum. The generator’s voltmeter is backlit; allows for output monitoring in the dark. Albeit the FA3000P has small tank capacity (13 litres), it boasts of top-level fuel efficiency. 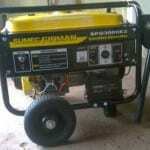 The 2.3KVA generator can be acquired at a price ranging from NGN 120,000 to 150,000. For latest prices, Click Here. 2.5KVA Generators are not the biggest generators set in terms of power supply. But like I said earlier, they have the capacity to power a household and offices depending on the load or appliances to be powered by the generator. If you need an alternate or backup source of power for your home, any of the 2.5KVA generators above would definitely get the job done.